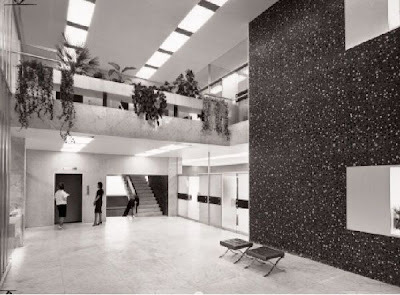 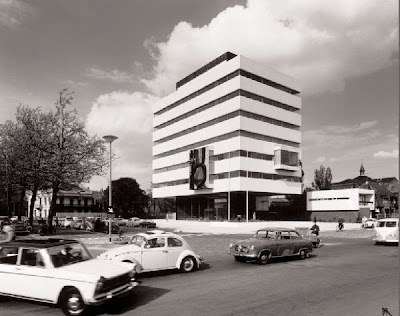 Mid Century Modern Progressive Architecture by Dutch Architect Huig Aart Maaskant. 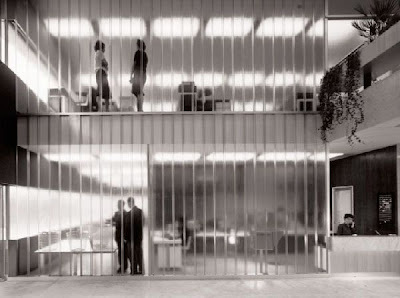 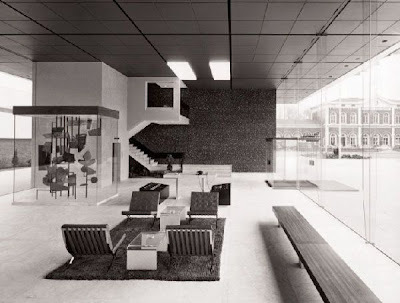 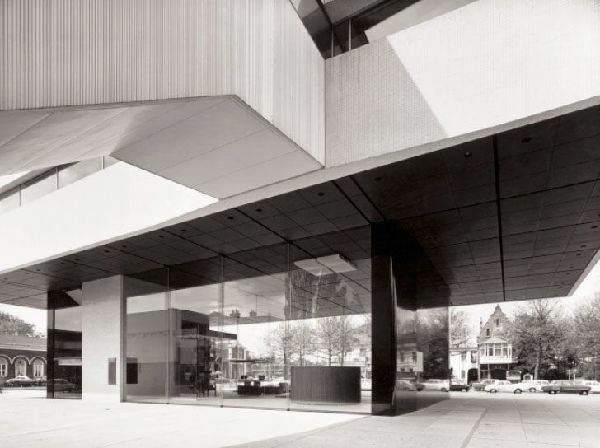 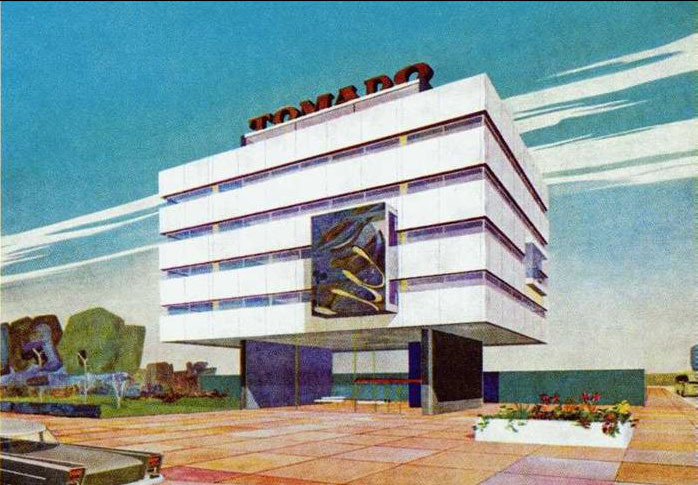 Huig Aart Maaskant designed the Tomado office building in the Dutch city of Dordrecht in 1958. 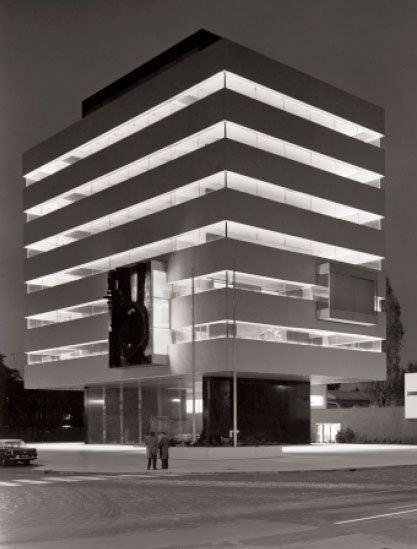 This exceptional modern building is highlighted by its pure minimalist lines.